where he received his master's degree in April 2003. In 2004, he started working as a researcher at the Department of Electrical and Electronic Engineering (DIEE). He received the Ph.D. degree in Electronic and Computer Engineering in 2007, working on Computer Vision algorithms and software applied to Scanning Electron Microscope. He also supported didactic activities. In the same year, he was awarded with an Italian Government Grant, and he worked as a visiting researcher in the Multimedia Communications and Networking Lab at the Hewlett-Packard Laboratories, California, US. His research focused on photometric stereo techniques applied to conventional flatbed scanners. 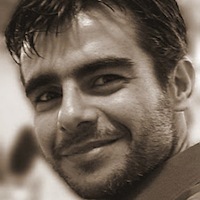 Since November 2007 he has been part of the Visual Computing group of CRS4 (Center for Advanced Studies, Research and Development in Sardinia). His research interests have shifted towards Computer Graphics topics. In particular, the primary focus is the development of algorithms for acquisition, out-of-core processing, time-critical rendering and 3D printing of massive models, mostly applied to large scale color and geometry Cultural Heritage datasets. In 2013 he worked as a Postdoctoral Associate Research Scientist in the Computer Graphics Group at the Yale University. His research focused on 3D model scanning and processing, and on multispectral imaging acquisition and document layout analysis techniques applied to historical, handwritten medieval manuscripts.